What could be more relaxing than the feeling of fatigued and stressed muscles unwinding in a spa session? How about taking a vacation in a health resort that provides a rejuvenating environment of herbal steam saunas, meditation and other spa treatments? In today’s highly stressful world, a visit to these places may be pleasurable and soothing, but not everyone has the money or time to indulge in these vacations. 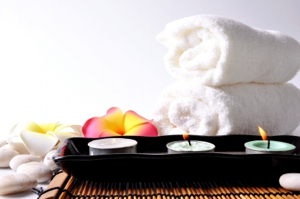 That said, setting up a home spa on your own can be a powerful way of reducing stress and promoting vitality. You don’t have to spend on pricey spa treatments because you can do it on your own at home. All you need are the right products, equipment, time and, most importantly, the desire to do so. The term ‘spa’ may originate from the Walloon word ‘espa’ – meaning fountain. Spa may also be an acronym for ‘sanitas per aquas’, a Latin phrase meaning ‘health through water’, or it may be derived from the Latin word “spagere” (to sprinkle, moisten, scatter). Egyptians were the first to discover the potential of water and essential oils in restoring health. Bath spas have existed since long ago, dating back to 7000 BC when olive oils and sesame were revered as superior healing ingredients. For thousands of years, fragrant herbs, perfumes and oils have been used for personal wellbeing. Later on, hydrotherapy (a treatment that uses external water) and thalassotherapy (a therapy that involves bathing in sea water and uses teas, herbs, essential oils and minerals) became popular. During the Middle Ages, Muslims used rose water and prayer beads created from rose petals and Arabic gum to purify their mosques. The Romans made all sorts of baths, from assembly areas (tepidarium), steam baths (caldarium) to pools (piscine) and cold baths (frigidarium). Today, most modern spas have their roots in ancient holistic bath spas known for their healing and therapeutic powers. Water therapies are well known for their total psychological and physical benefits. Nowadays, spa treatment programmes are ubiquitous, from roman Celtic baths and thermal mineral ponds to thalassic pools. Our bodies are designed to heal automatically, given the right environment and access to quality building blocks. This process is often interrupted by our lifestyle, our toxic environment and our levels of stress and tension. Studies have shown that most diseases arise and persist because of chronic STRESS and TENSION stored in the muscles and the nervous system wreaking havoc on our internal organs. Studies have shown that following deep detoxification and relaxation techniques, like setting up a home spa, are critical to rejuvenate and heal the body at a deep cellular level. It is impossible to enter the optimal healing zone when your body is stressed and wired. A stressed body will not assimilate nutrients well or repair cells. For accelerated healing results, it is important that your body is relaxed and supported so it can enter the optimal healing zone. Practicing effective relaxation techniques like a self-care home spa ritual can help you achieve this by allowing you to enter a deep state of relaxation, enhance detoxification, reduce inflammation, and release tension and stress stored within your muscles. There is no doubt that our bodies are constantly bombarded with toxins from our food and environment, including electromagnetic radiation, as well as emotional stress. These things cause our bodies to suffer a host of deteriorating diseases and prolonged symptomatology. If you are itching to melt your stress away but can’t take a trip to a spa with your tight budget, don’t worry! 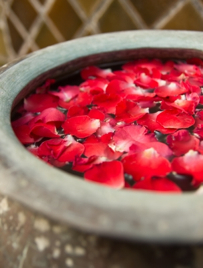 Bliss out with these home spa DIY tricks! One of the most important factors of a home spa experience is ensuring uninterrupted solitude. If you have to leave the tub to answer phone calls or watch over a toddler, then you may feel even more stressed or tense. Set your phone so all calls go to voice mail, turn off the computer, radio and TV, create a quiet ambience and get ready to indulge. Spa music is perhaps the easiest way to bring the spa experience to your home. 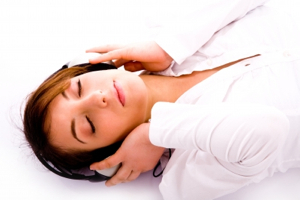 Calming, soothing melodies will promote peace of mind and help melt the stress away. Spa music comes in different types. Some are designed to induce sleep for meditating, while others are intended to deal with stress. You’d be amazed at how a softly lit room can bring on a stress-melting mood. Most spas use indirect lighting to create a dramatic effect. For you home spa sanctuary, you can create a rejuvenating atmosphere by lighting the room with scented candles and enjoy a cosy home spa. A home spa experience isn’t just about the mood and rejuvenation. In order to feel ‘good’ holistically, you need to use bath and healing home spa products that contain soothing herbs and minerals that provide healing to your tired mind and body. 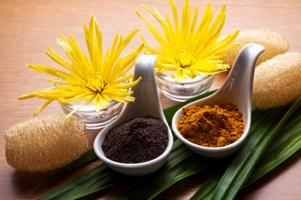 Try these spa treatments at home! Create two areas for your home spa sanctuary – the bedroom will become your ‘quiet room’ while the bathroom will be the ‘treatment room’. Prepare plenty of fresh towels and make a pitcher of detox vitamin water – ice water with sliced lemon or cucumber. Run a warm spa bath. Sprinkle 1/2 cup of CHI Healing Earth and Zeolites into a running bath. These amazing bio-energised therapeutic grade clay and active mineral zeolites will relax, detoxify and beautify your body, mind and soul. Try this simple home spa recipe. Add a handful of healing products such as CHI Senses Magnesium Bath Salts, 2 tablespoons of aromatic detoxifying herbs and a few drops of your favourite essential oils. Imagine what it would be like to have the body you deserve. Imagine yourself doing what you love without limitations. Imagine yourself in the perfect nurturing environment that you create within your mind, and really enjoy the experience of bliss and serenity as your muscles and mind relax. Enjoy the vibrational healing earth bath that you have set up for yourself. These days, many elite spas around the world include clay therapy as part of their home spa treatments. Why? Because it works! Calcium bentonite clay contains high concentration of minerals such as silica, calcium, magnesium, sodium, iron, and potassium. 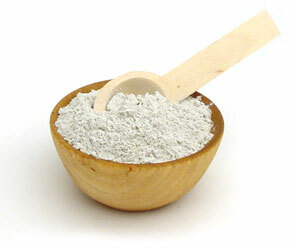 One of the best home spa products you can use is calcium bentonite clay. Calcium Bentonite Clay has been used for thousands of years as a healing and cleansing compound. It is a powerful agent that works to draw out impurities in the body; at the same time, it has the amazing power to capture and eliminate toxins and balance the body. In addition to helping cleanse the liver, colon and skin, bentonite clay can assist with such conditions as infections, arthritis, wounds, ulcers, insect bites, acne and digestive conditions. It can even aid effective weight loss. Calcium bentonite clay can help you deal with stress by protecting the body against harmful radiation, and strengthening the immune system. Because of these health benefits, we have utilised Calcium Bentonite clay bio-energised with specific CHI healing vibrational programs for use in our home spa treatments as well as our edible CHI Healing Earth. Use this precious time to enjoy your home spa so you can relax and unwind. Important visualisation and meditation processes, such as this treatment, will help you orientate yourself towards your goals and dreams and create your inner safe sanctuary.